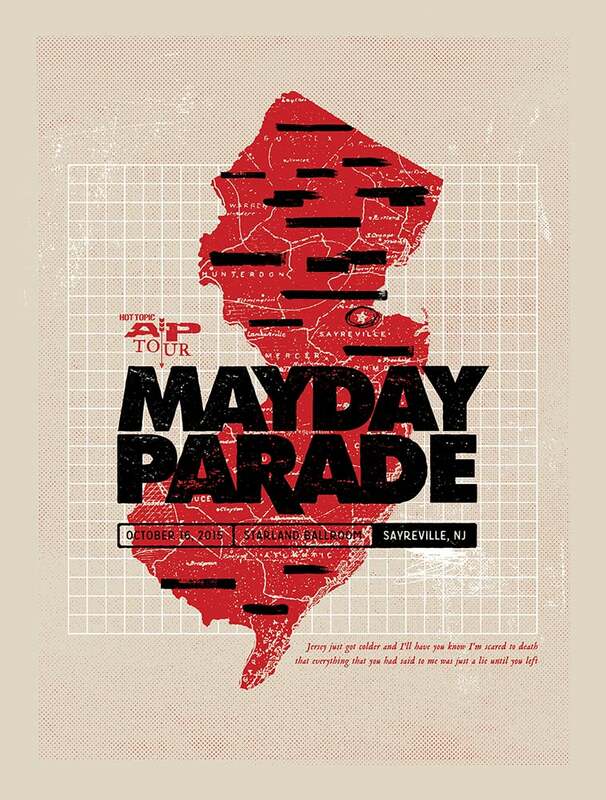 Tomorrow night,Mayday Parade will have a new poster of mine for their show in Sayreville, NJ as part of the AP Tour presented by Hot Topic. The design was inspired by the retracted-style imagery from their new record, Black Lines, and also incorporates lyrics from their song Jersey. Three-colors, screen-printed on French's speckletone paper. They'll be first available at the show, and I'll have a small number of copies available on Saturday, in my online store.